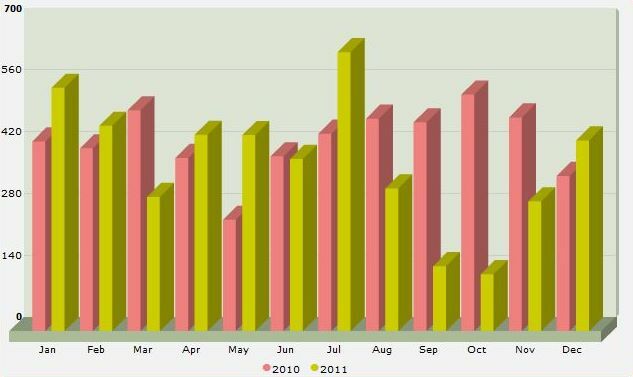 2010 produced 32 weeks of 100 or more miles. 2011 saw only 24. In 2010, there was one 10 week consecutive streak over the century mark plus a nice streak of 22 weeks – this could be considered a mark of consistency. 2011 was much different; one eight week streak, one seven week streak, and one six week streak, plus a few scattered individual weeks over 100 – that is not consistent, but quite staggered. What drives the mark of inconsistency even further is the amount of weeks (nine) in 2011 higher than the highest 2010 week (128). Going to high too early? After TNF50 (my first ultra) in Dec. 2010 I took 0 time off and started the new year with seven consecutive 120+ mile weeks – I was preparing for the Neuces 50 mile in early March and to continue in for a huge summer of mileage. Two weeks before Neuces I suffered my first real running injury and took seven days off from running awaiting my inflamed left achilles to heal. It was the first day I had not run in over 14 months (looking back I am fortunate I recovered from this type of injury as quickly as I did). I'm glad this is over with. During those seven days off, I found out SSU was promoting our club track team to varsity status and for the first time in school history, we would be allowed to run at a conference and national championship meet. The next three months I was able to string together some good training to run the Marathon at the NAIA National Championship (yes, the NAIA has the Marathon at Track and Field Nationals). 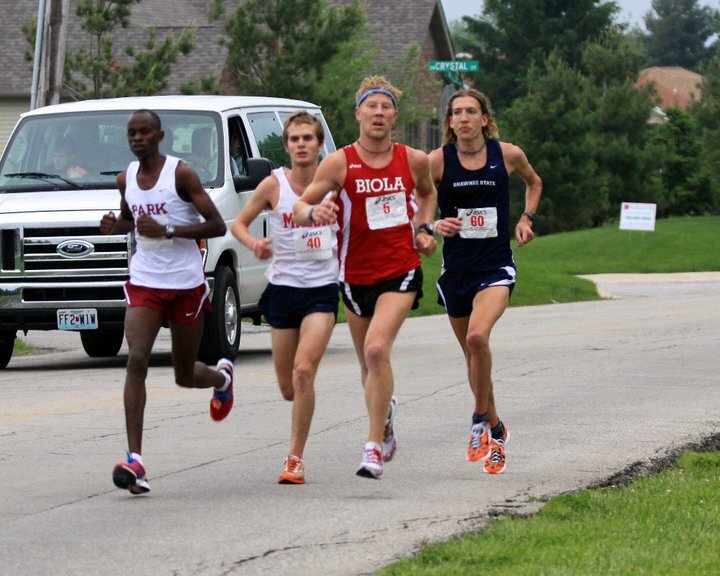 I ended my college career as an All-American, finishing third in 2:30:07 (good memoryof 2011). A somewhat new appreciation for running long and hard on pavement. After the marathon I decided to take a few days to recover before I started running again (already learning from my earlier mistakes?). Burning River 100 was two months away and the thought of my first 100 miler was uber-exciting. 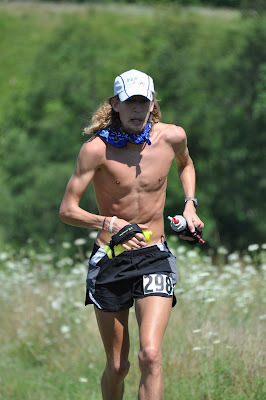 I took a trip to Colorado backcountry in late June/early July that kicked off a 632 mile month of July, capped off with a satisfying first 100 mile race, finishing third with a 16:26:00 (good memory of 2011). 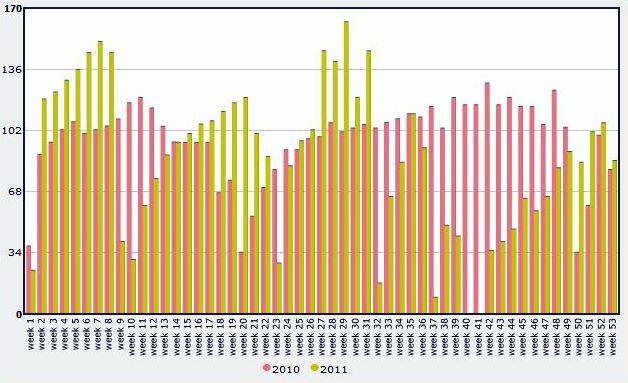 Looking back again, the huge increase in mileage provided a noticeable inconsistency in my year - brought an immediate good result, but later caused bad results. Although I had the achilles injury in February, the year was still successful to that point – after BR100 is when I really messed up. I guess I hadn’t really learned my lesson about recovery… Within two weeks I was running over 100 miles and after two weeks of that, my body started becoming very lethargic and I was both mentally and physically worn down. I took a week off from running and decided to still give it a go at the UROC 100k – I only ran 26 miles until I decided to drop out of that race. Besides the lack of recovery time after BR100, I did things that only made my body more tired. 13 days after Burning River I ran the SSU Alumni 5k, running a hard-earned 16:20, then the Hangover 5 mile time trial with the team a couple days later… those hard efforts and other sub seven minute mile runs with the team really took a toll on my body – I was definitely already insufficient enough in important bodily vitamins and energy stores from BR a couple weeks earlier. Then, a week before UROC, after a week off, with only a few days of running I was tempted into running the Indian Run 40k, which ended up being a very hard effort (~6:50 pace) on a hilly course. I was not listening to my body when it was telling me to give it a rest. 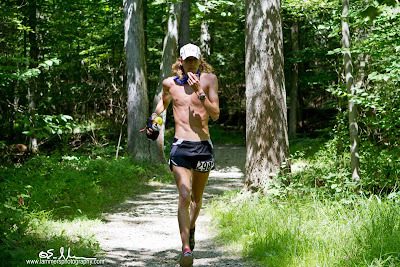 After UROC, I took 15 complete days off from running, trying to access what went wrong and if I could ever regain the confidence I had in 2010 and parts of early 2011. I determined that a balanced, consistent overall life is what brought the success in my past and that I need to continually try to do better in every phase of my life, not just running. Since then, I have been refreshingly getting back into a routine of running and looking forward to 2012 – I will be living in Lynchburg, VA for grad school and am very excited about the next two years and the opportunities that the region brings with the trails, mountains, and running community.